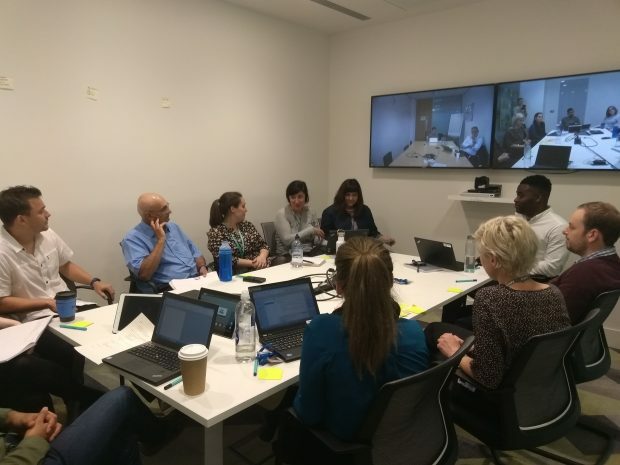 The Health Product People community was started in January 2018 to bring together people working on digital services across the health and care space. We wanted to bring together people to share ideas, collaborate and work together to solve problems. The Health Product People community builds on the good work of the cross-government product and service community. how much user research is sufficient? what do teams expect in discovery? what outputs are expected in discovery? First, we got all the necessary introductions out of the way. We asked the group to share who they were, what they were working on and one challenge they were facing. We put all the challenges on post-it notes and put them on the wall so we could go back to them later. Thankfully, turnout was impressive with representatives from the Department of Health and Social Care (DHSC), Public Health England (PHE) and the Human Tissue Authority (HTA). So a nice mix to get the conversation flowing. We had a team from PHE presenting on processes they established for their discovery around user research. They talked about how to design user research studies. The key takeaway is for teams to start small and make sure questions asked align with stated goals and objectives. 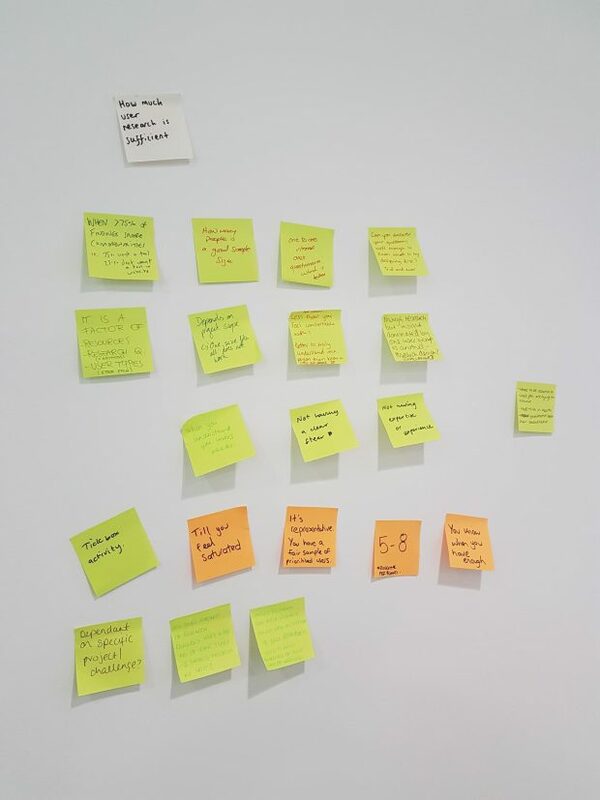 The team stressed the importance of anonymising data, asking for consent and then storing it safely – important topics, especially in light of GDPR. The biggest challenge facing teams in discovery is around how much user research is enough. There is a plan to address these challenges in subsequent Health Product People events. It’s important that everyone is heard. Everyone has something of value to contribute. Community events tend to be dominated by extroverts, so making sure everyone in the room has the space to think and speak is important. For our event, we asked people to write down their thoughts on post-it notes. This gives introverted people a chance to really think about a question. We also gave people the time to explain their thoughts without interruption. We will continue to be inclusive and we are open to comments/suggestions on how to make our next event even better. The retrospective was overwhelmingly positive. 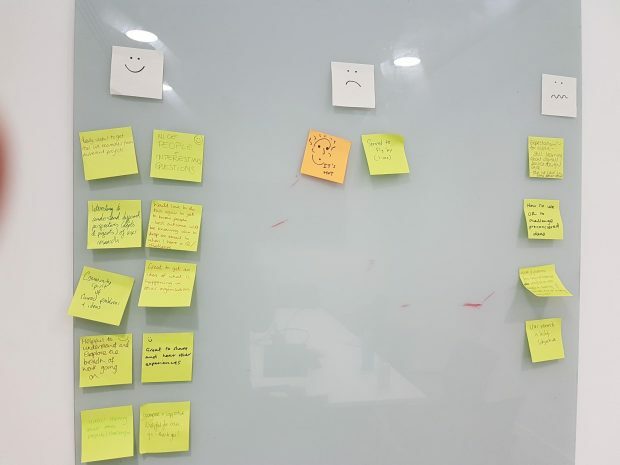 People loved hearing about real-life examples around digital transformation, different perspectives and how supportive the community was. The time just flew by, and by the end people were disappointed it had ended! We know our next event can be better. We assumed that everyone understood ‘digital’ terminology. In the next event, we will assume no prior knowledge. We will also send pre-reading beforehand to help bring people up to speed. We were overwhelmed with the turnout and the energy in the room. There’s a passion and drive to build services that truly meet the needs of users. Going forward, the community plans to share work with each other more widely. For now, this information will be shared via email. Going forward, we will look to see how we can better disseminate information across the community. For our next event, we will explore the alpha stage. This event should take place sometime in July (in London and Leeds). We will explore options for dialing in and having community events in different locations. Do you work in the health and care space? Interested in sharing your ideas and work with others? If you answered yes to any of the questions above, please contact dharmesh.chauhan@digital.dh.gov.uk or colin.pattinson@digital.dh.gov.uk with information about who you are, your role and the service you are working on.